University of Georgia Press, 9780820334233, 181pp. These eleven stories take us from the Czech Republic to Alaska, from Siberia to West Texas, as they stake out territories straddling the border between life and death. In the title story the usual thoroughness of an insurance claims investigator spirals into obsession when Howard learns that a beautiful, drowned policyholder was a childhood neighbor he never knew. He is left uncentered, and his wife is convinced that he is having an affair. In "How the Dead Live" Karen keeps her late father's spirit trapped in her home until her newly detected pregnancy drives her thoughts outward and forward. In "Unfinished Business" Ciri's ghost cannot forsake her previous life's routines, or the chance that even in death she might love or be loved by the living. Gina Ochsner's interests in folklore and myth often suffuse these stories of visitations, crossings, partings, and second chances. Fears and longings, for example, are often projected onto animals such as the earthbound, ice-covered swans of the Siberian tundra in "Sixty-six Degrees North." Likewise, Ochsner's insights into history-burdened contemporary life in Eastern Europe and Russia also filter through. In "Then, Returning" a Lithuanian and a Russian sort body parts and marble fragments in a Vilnius cemetery hit by stray artillery shells. As they work, a group of American genealogy buffs approaches, filled with hope that a day among the gravestones will bring order to their family trees. In such wildly inventive ways, Gina Ochsner gives us new means to think about how the dead remain among us and how we can find beauty and solace even in graceless times and places. Gina Ochsner is the author of the novel "The Russian Dreambook of Colour and Flight" and the short story collection "People I Wanted to Be." Her fiction has appeared in the "New Yorker," "Best American Nonrequired Reading," "Glimmer Train," "Kenyon Review," and many other magazines. She has received the Ruth Hindman Foundation Prize, the Raymond Carver Prize, and the Chelsea Award for Short Fiction. 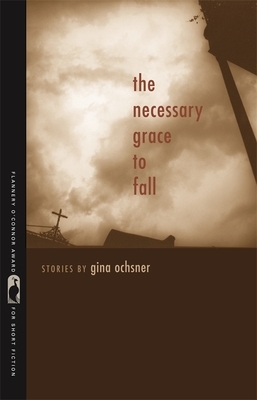 In addition to winning the Flannery O'Connor Award for Short Fiction, "The Necessary Grace to Fall" also won the Oregon Book Award, the Pacific Northwest Booksellers Association Award, and was an "Austin Chronicle" Top Ten Pick. Ochsner lives in western Oregon with her husband and children.